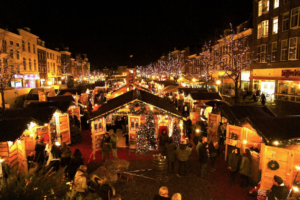 Discover Netherlands through its Wonderful Christmas Markets – Art, Food, Travel and Fashion! 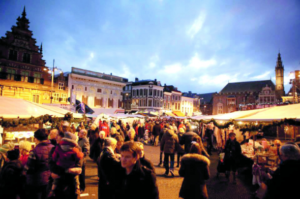 At the Haarlem Christmas Market, more than 300 stalls are laid out like ribbons through the inner city, coming together to form one of the most celebrated Christmas events in the Netherlands. The wares stand among choirs that sing Christmas songs, stirring up those warm and fuzzy Yuletide feelings like no other. Haarlem is a particularly good place to host a market thanks to its compact size and pedestrian-friendly streets. The quality of the items being sold is rather high, with lots of handmade crafts and artisan foods. 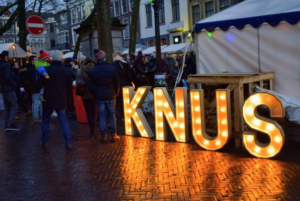 The Knus winterfest embraces winter. The inner city of Utrecht transforms into a seasonal paradise that will warm the heart of any visitor. Various Christmas markets combine to create one big festival that also includes an ice rink, all kinds of music, and servings of spiced glühwein and warm chocolate milk. 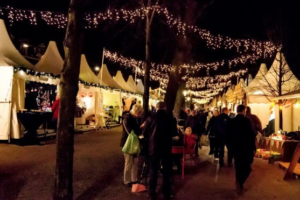 Aiming for an international audience, the stately Lange Voorhout in The Hague will once again transform into the Royal Christmas Fair. The fair is set to be even more fun and colourful than previous years, with more than 80 Christmas chalets, a Children’s market, thousands of lights and a diverse cultural programme. 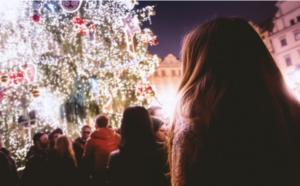 You will find glühwein, winter pelts, flammkuchen, mood lights, wood carvings, candles and all kinds of Christmas wares, and of course there will be a great entertainment programme including various performances by children’s choirs, theatre companies, ensembles and storytellers. One of the newer Christmas markets in the Netherlands, the event in Leiden is unique due to its layout. With temporary scaffolding set over the central Nieuwe Rijn, the entire market literally takes place on the water. Combine the unique construction with a good amount of sellers and some worthy holiday food stuffs and this market looks to become a perennial favourite for those looking for a cosier holiday experience. La Biennale di Venezia – the most famous and prestigious cultural organizations in the world. Marché du Film celebrates 60 years during Cannes International Film Festival 2019! Copyright © 2019 Art, Food, Travel and Fashion!. Powered by WordPress. Theme: Accelerate by ThemeGrill.